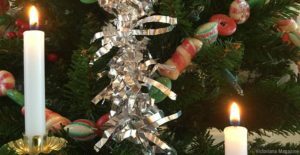 The festive season is around the corner, and if you haven’t done so yet, it’s almost time to dust off the old Christmas tree and adorn it with beautiful, sparkly decorations. However, the little ornaments that we hang on Christmas trees sometimes have a way of going the same route as single socks in the washing machine: they get lost, never to be seen again. Christmas ornaments aren’t cheap, either, so replacing them often gets left until the tree is almost completely bare. 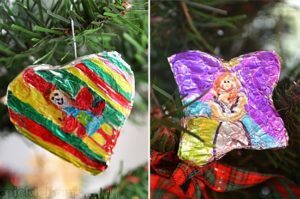 Luckily, aluminium foil Christmas tree ornaments are easy to make and quite beautiful to boot. Here’s how to make them. Get the kids involved in this easy holiday activity, and your old tree will soon look a little happier. Here’s a tutorial. Your kids will be able to really leave their mark on these beautiful, simple ornaments – don’t be surprised if they turn into heirlooms for their own family Christmas tree. This old-fashioned Victorian ornament is great if you’re looking for a more traditionally decorated Christmas tree. 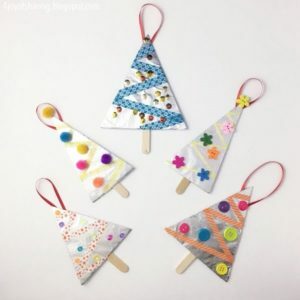 Making Christmas tree ornaments together can become a beautiful tradition of documenting your children’s development, and is a sure-fire way of keeping them occupied for quite a while this December. If you have some aluminium foil lying around, give it a shot!